Back by popular demand,our Summer Cabaret series returns! One more this summer! Join Andi Alhadeff on Monday, August 22! 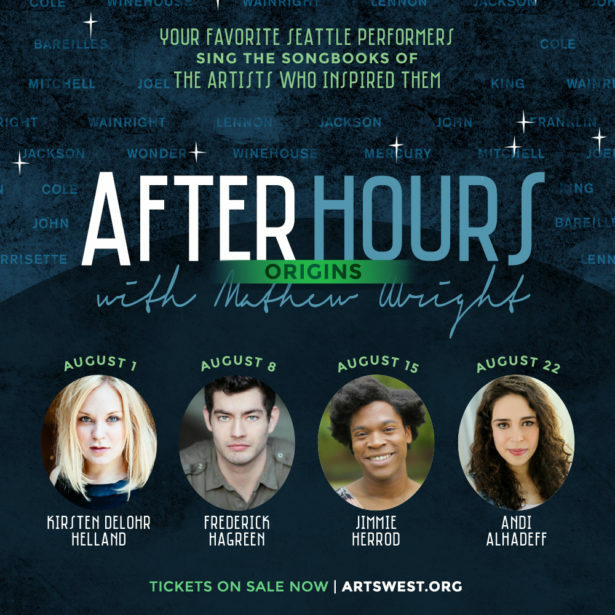 Join ArtsWest as your favorite Seattle performers sing the songbooks of the artists who inspired them, from Carole King and Alanis Morrissette to Freddie Mercury and Stevie Wonder. Hosted by Artistic Director Mathew Wright, these one-night only events feature four of Seattle’s brightest stars: Kirsten DeLohr Helland, Frederick Hagreen, Jimmie Herrod, and Andi Alhadeff. 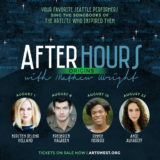 These performers are at the forefront of musical theatre in Seattle—artistic talent behind smash-hits like Lizard Boy (Seattle Rep), Green Day’s American Idiot (ArtsWest), and The Sound of Music (5th Avenue Theatre), just to name a few. Come join us as we get up close and personal with these incredibly talented artists, unscripted and ready to entertain!